France is a very secular country. Where religions should not interfere (at least to a certain extent) with the state’s business. Robert Menard, the mayor of Béziers, was recently pointed out by some citizens of his town and condemned by Nantes administrative court because he had decided to place a Christmas crib in the entrance hall of his town hall building. From such a politician, putting a Christian symbol in his town hall was surely more kind of a provocation than just a folkloric tradition. Come what may, this rapidly became an affaire d’Etat bloated by Medias. And laicist clerks took this opportunity to sing their ultralaique crusaders’ anthem against any religious symbol set as a blaspheme in the Republican sphere. As far as I am concerned I usually don’t care too much about Christmas cribs. Which I rather consider as an outmoded popular if not « kitsch » tradition. Eventually ok for kids, but certainly not the main feature about Christmas celebration. However, this year I wanted to celebrate Christmas with all « the works ». 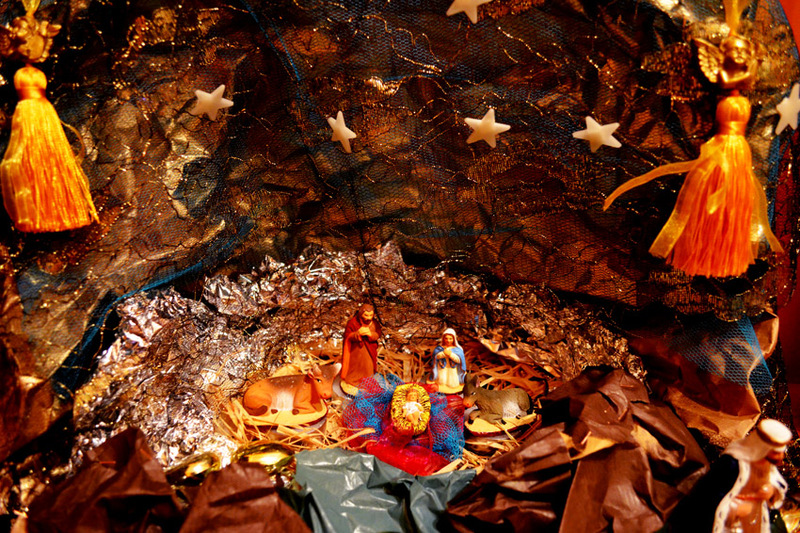 Decorate my house and make a Christmas crib at home. And I must admit I really like it!